Although not a household name on everyone's lips, Danish art-rock ensemble Efterklang have already proved what a talented and imaginative set of chaps they can be. Formed in 2000 as a quintet, the line-up itself is as complex as the band's musical approach, but now takes the form of a four-piece. After issuing a pair of critically-adored albums in 2004 ("Tripper") and 2007 ("Parades"), the equally artful British indie-label 4AD hovered and pounced for their collective signature a couple of years later. Thus, "Magic Chairs", their subtle yet absorbing third album was born which duly led to NME features and sold out shows. If it's been hard enough to compare Efterklang with any other band around at the time, it'll be a little bit harder now. Essentially and according to the PR notes in front of me, the band have been on an expedition, but they're not at liberty to say why, where or how. 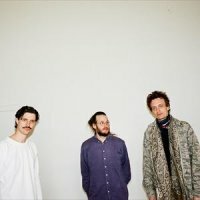 Suffice to say, apart from their involvement with the new and self-founded music-charity Efterkids, which encourages disadvantaged but gifted kids pursue music as a future, little is known of Efterklang's most recent movements. Intrigued? What we do know is a new album entitled "Piramida" is all set for release by 4AD in the autumn and that a stunning and ambitious new show, devised by the group, is heading our way at around the same time. With a full orchestra in tow, the Northern Sinfonia no less, plus regular collaborator Peter Broderick and guests, Efterklang will perform six UK shows in October, starting with the home of the Northern Sinfonia, the Sage in Gateshead on the 23rd, followed by Edinburgh, Coventry, Brighton, Manchester and finally London's Barbican on the 30th. Tickets are available now, averaging around £19.50 for regional shows - depending on the venue and £15 - £22.50 for London.